Blooming Planters will create your perfect garden sanctuary, your ideal place to escape and enjoy spending time with friends and family. No matter your expectations we can make your vision come to life. Some people want a bustling wild cottage flower garden and some the balanced precision in their gardens. No matter your need for a riot of colour or the ultimate outdoor hosting space, we'll work with you to turn your dreams into reality. beautiful gardens. 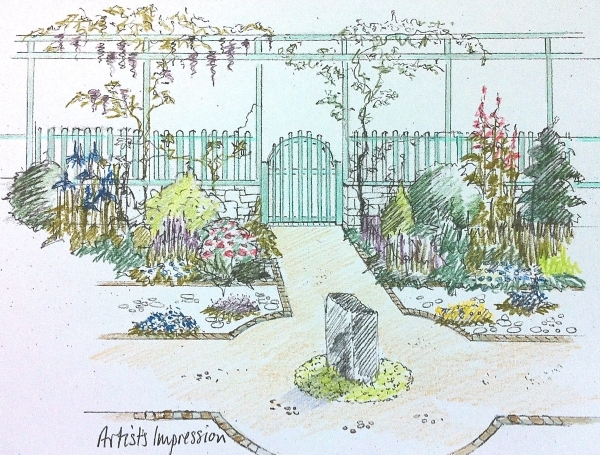 She has designed over 80 gardens to date & is now working in The Cotswolds. She works with landscape contractors to offer full garden design & planting services as well as complete landscape construction plans, details and construction monitoring. All design plans are hand-drawn and coloured. Sue has worked as a professional designer for many years. She studied garden design at KLC in London whilst working part-time at Chelsea Gold winner Roger Platts Nursery. She specialises in producing gardens that inspire & delight her clients. Sue and is happy to provide references. The key to successful garden design is understanding exactly how the garden will be used and the aspirations of the client. 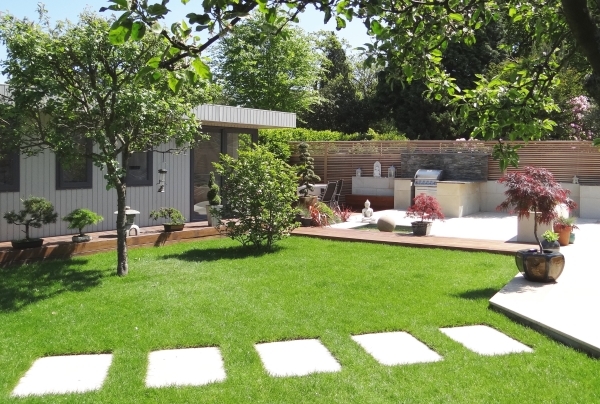 Whether you have a large garden or a single bed which needs re-thinking, Sue will be happy to discuss your ideas & believes that the garden can improve your quality of life and enhance the value of your property. Following the agreement of the design brief, a Design Fee Proposal will be submitted based on the estimated number of hours required to complete each of the three design stages. We will survey the existing garden area for size, orientation, levels, soil type & existing plants. You will then receive a hand-drawn & coloured Concept Design plan & sketches with photographic plant & building material references. These boards are yours to keep and can be mounted as original artworks. 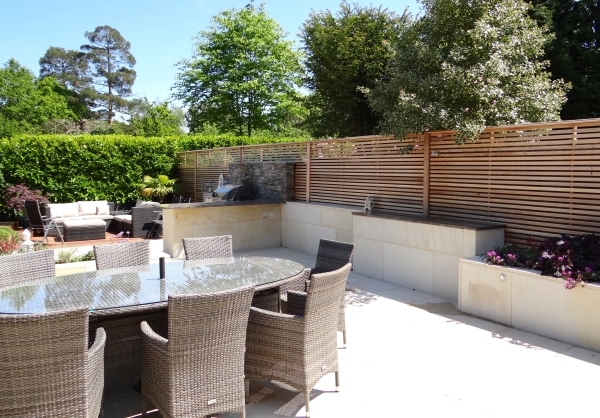 We provide detailed planting layouts with plant quantities for budget quotes before purchase. Upon agreement, we will require a 50% plant budget deposit. 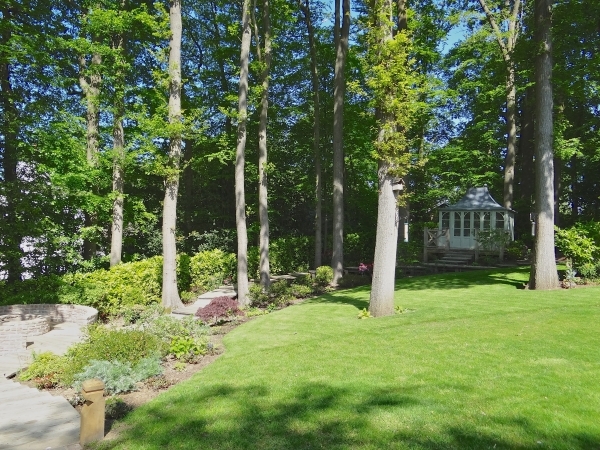 We will also discuss any preparation work required such as tree surgery, pruning & soil preparation. We will select & buy the plants as agreed, & provide a final estimate for planting. Our planting service fees are based on a day rate of £180.